Count on cleaning up the mess quickly and easily. This canister vacuum is focused on light weight and portability so you can clean up in no time at all, restoring your facility to it’s clean professional appearance. With an extremely low weight under 12 pounds and an easy to tow behind design, this vac is the perfect solution for any small dry dirt problem. The ergonomic wand allows for hours of fatigue-free operation, providing more productivity. This canister vacuum is meant to be seen and not heard. Featuring a very quiet vac motor, you can trust the Trek Vac 3 to not disturb others while it is in use. 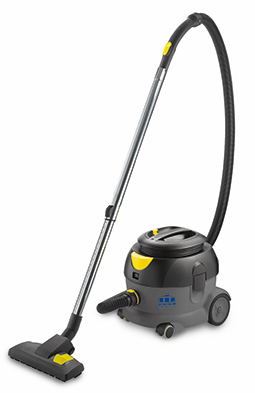 In addition, this canister vacuum is focused on light weight and portability so you can clean up in no time at all, restoring your facility to it’s professional appearance. The tow-behind design is easy to use and quick to get around. To take advantage of this, we have provided and ergonomic wand for hours fatigue-free use.